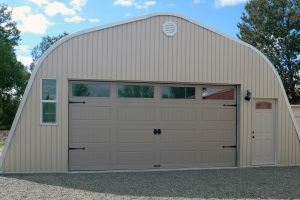 The steel garage is one of the most popular uses in this industry! Metal garages come in any size and provide a completely secure storage building for parking absolutely every kind of vehicle. Protect your valuable investments with one of our steel garage kits. Grains, hay, sand, salt is best stored in a steel storage building. 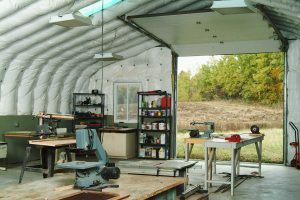 Also household overflow, seasonal equipment or recreational vehicles are secure and safe in our metal storage buildings. Why pay monthly for storing when you can build your very own with our steel storage kit. Up fast and made to last! The handyman’s dream! A steel workshop kit promises clear span space for all the tools and necessities of every job or past-time. Woodworking, machine repairs, artistic projects, small businesses and so many more trades and hobbies come to life in our metal workshops. 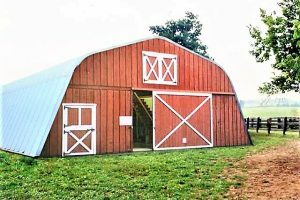 Farmers and rural communities everywhere have relied on our steel barn kits to house their livestock, farm machinery, grains and crops. 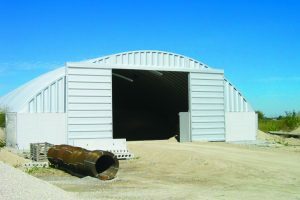 Metal barns are designed to be clear span and maintenance free as well as dry and secure – making them the optimum storage structure for the agricultural market. If space and location don’t allow for a full garage, a steel carport kit is the practical, serviceable solution for single and multi-vehicle protection. 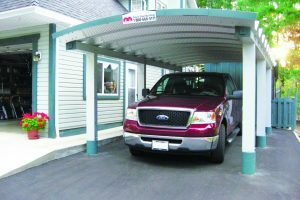 The unique design of the metal carport makes it one of the simplest, garage alternatives there is! 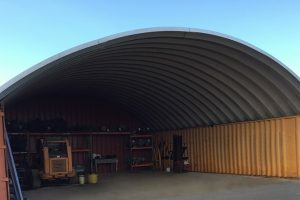 Our steel carports have been designed as door and walkway covers, transportation shelters, deck and backyard screens as well as countless variations of industrial roofing systems. We are the perfect project partner to start, expand or improve any business. We engineer any size, any design complexity of commercial metal buildings for every sector of the marketplace including mining, military, agricultural, government as well as oil and gas. We ensure on-time, on-budget delivery of our steel manufacturing buildings across North America and the globe. Why do we not show pricing? 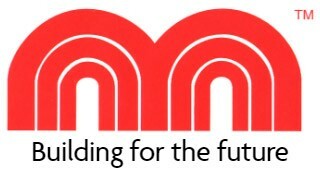 Every FUTURE BUILDING is individually priced to meet your needs and the loads and codes for YOUR exact location. CALL TODAY FOR TRUE PRICING.CALL TODAY FOR TRUE PRICING. Future Buildings is a family owned and operated company that takes pride in providing customers with steel buildings that surpass expectations in quality, utility and price. We own the factory where all our steel buildings are made which guarantees our customers quality workmanship at factory direct prices. We believe in our steel buildings and so do thousands of Future Buildings customers around the world.